Jean died peacefully at Witney Community Hospital on 3rd April aged 81 years. 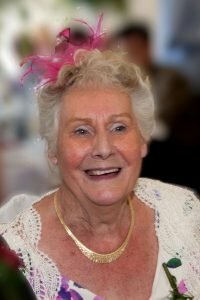 Her funeral will take place at South Oxfordshire Crematorium, (Garford) on Tuesday 23rd April at 1pm. Donations are gratefully received for Thames Valley Air Ambulance & Stroke Association.